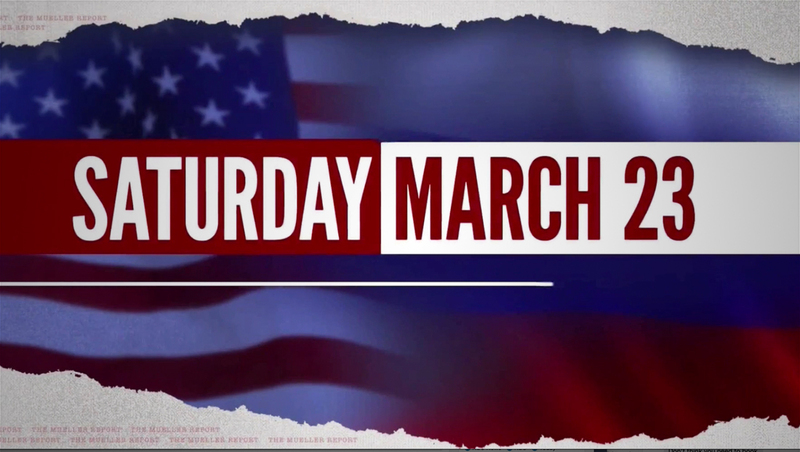 NBC News declared its Saturday, March 23, 2019, broadcast a “special edition” after the Friday “news dump” that Robert Mueller has completed his investigation into possible Russian interference in the 2016 elections. 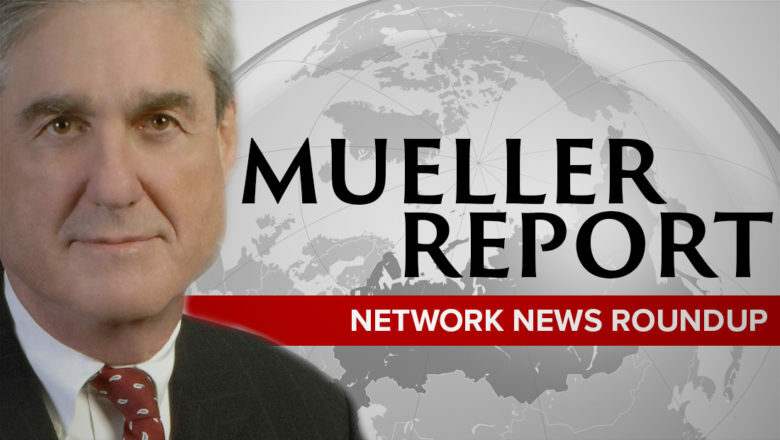 The network used a red, white and blue themed open Saturday morning that kept the normal horizontal bar elements but dropped the headlines in favor the “Mueller Report” logo it has been using since the news broke Friday afternoon — with the “ripped page” motif worked in as well as well as the normal images of Rockefeller Center replaced with photos of Mueller and Trump Tower. 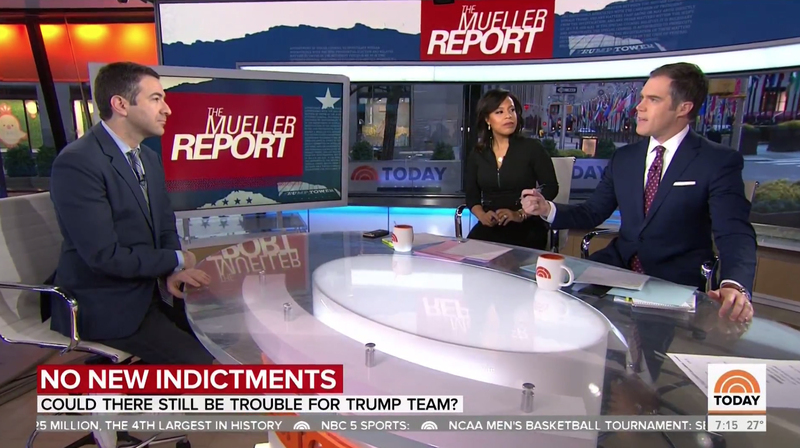 Later in the broadcast, ‘Today’ also displayed its Mueller branding on the video ribbon above the anchor desk and wild monitor unit. The show also used Studio 1A’s video wall to showcase a six-box of its team coverage and the graphics were changed to “breaking news” red.